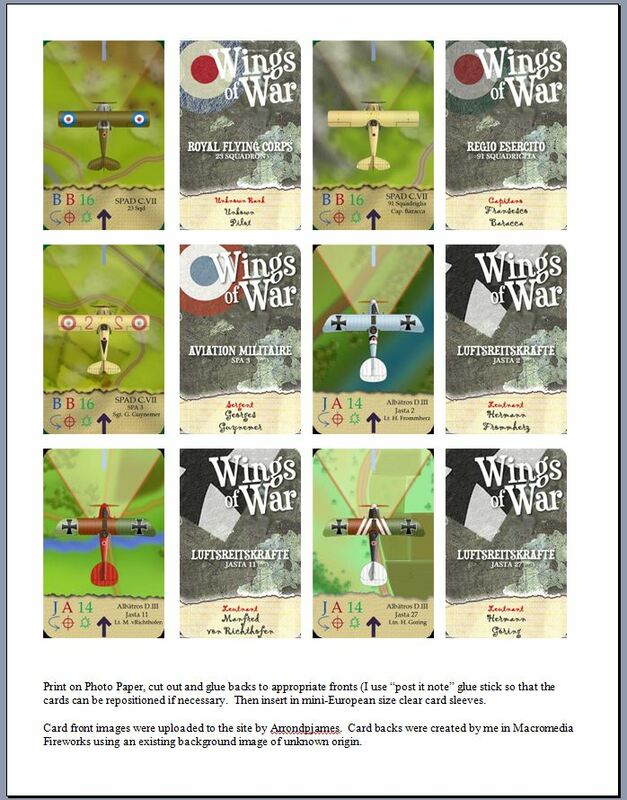 All 12 WWI F-Toy card fronts and backs combined in one .pdf file for ease of printing. Be sure to choose "no Scaling" when printing to ensure proper card size. Card fronts were uploaded by aarrondpjames. Card backs were created by me in Macromedia Fireworks. The Background image for the card backs is from an unknown source. It says 12 cards ,but I seem to only be able to download six ? Itchy - their were quite a few planes in the F-Toys Biplane collection. Only 6 of them were WWI if I recall correctly. So 12 cards (6 front and 6 back) should be correct.